GRAND RAPDIS October 31, 2014– Union volunteers packed into the Kent-Ionia Labor Center this morning to kick off the final weekend of political canvassing ahead of the November 4 state-wide elections. But before they hit the streets, they met with some very special labor leaders. 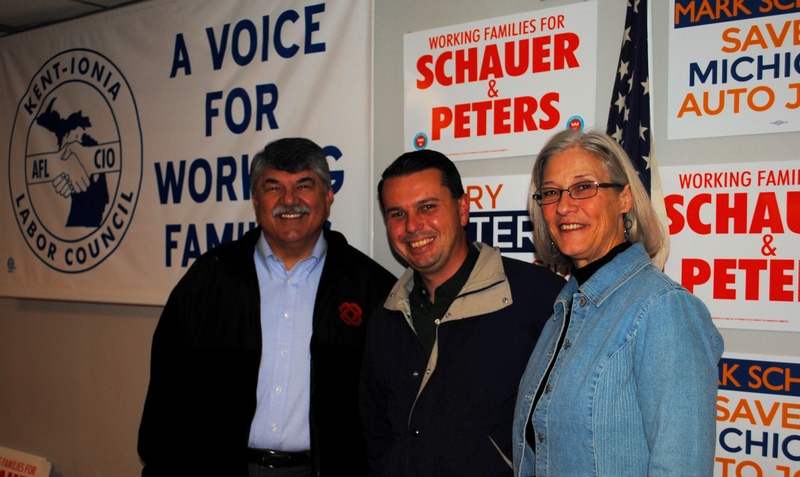 AFL-CIO President Richard Trumka was on-hand to greet the canvassers, as were Michigan AFL-CIO President Karla Swift and Kent-Ionia Labor Council President Sean Egan. Pres. Trumka stressed the importance of defeating Rick Snyder at the polls on Tuesday, and electing Mark Schauer the next governor of Michigan. The answer is clear, said Pres. 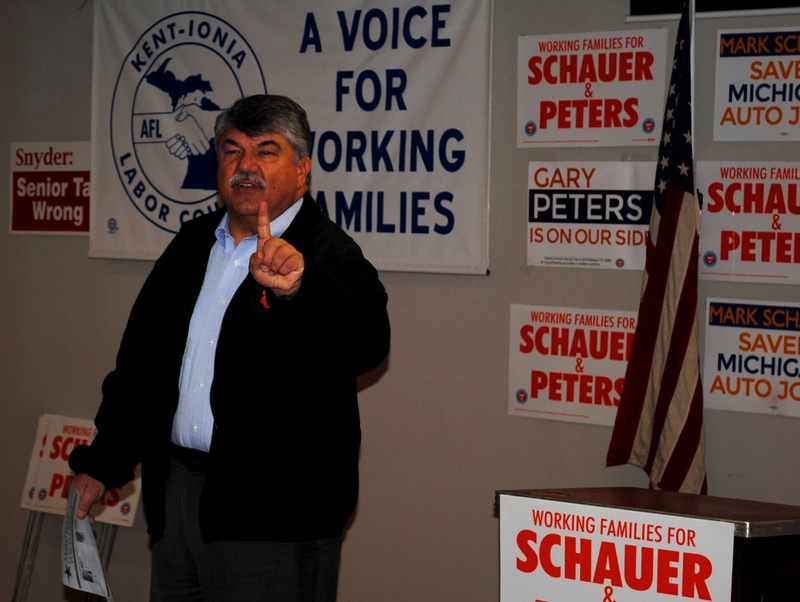 Trumka: Mark Schauer is ready to stand with labor, and Rick Snyder has proven he just doesn’t care about middle class families. In 2011, Gov. Snyder signed legislation that forces seniors to pay taxes on their pensions. He also pushed right-to-work legislation in December 2012. “Rick Snyder’s been engaged in class warfare for four years, and we don’t need four more,” Pres. Trumka said. Even before he was elected governor, Snyder proved to be an enemy of labor; he made millions of dollars in the private sector by out-sourcing jobs to China. Grand Rapids was the first stop on Pres. Trumka’s tour of Michigan on the final weekend of campaigning. This entry was posted on October 31, 2014 by WMALC in Political news and tagged Democrats, elections, Grand Rapids, Michigan, Rick Snyder.